Part 2: Turkey vs ISIS: Where's the New Caliphate Now? 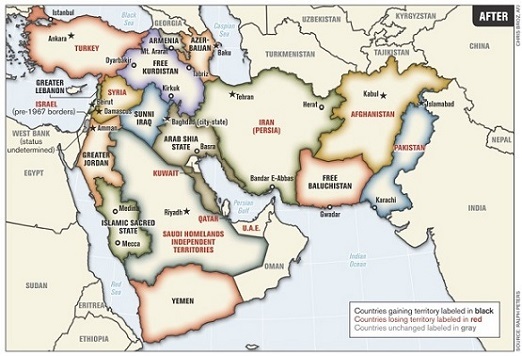 Middle East borders, as reimagined by Lt. Col. (ret.) Ralph Peters (2006). This article was posted on Friday, January 22nd, 2016 at 7:56pm and is filed under Israel/Palestine, Turkey.